Oh, St. Magdalene. We worship your masterful sway on our palates. ‘Tis a shame that your bottlings are so incredibly rare and hard to find. This particular edition is a doozy. Distilled back in 1966, this St. Magdalene was bottled almost three decades later by Gordon & Macphail for their Connoisseurs Choice line. A classic Speysider bottled at 40%—this just may be the patron saint of your home bar. 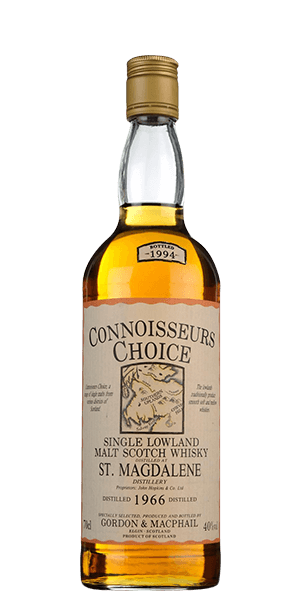 What does St. Magdalene 1966 Connoisseurs Choice taste like? The Flavor Spiral™ shows the most common flavors that you'll taste in St. Magdalene 1966 Connoisseurs Choice and gives you a chance to have a taste of it before actually tasting it.